Vegan, raw, flexatarian, or just good old-fashioned omnivore? All these diets can be nutritionally sound if you add in the right combination of foods. Whatever diet you ultimately choose for yourself, at the end of the day it’s all about balance — and being well-balanced and maintaining good nutrition means utilizing a wide variety in your food choices. 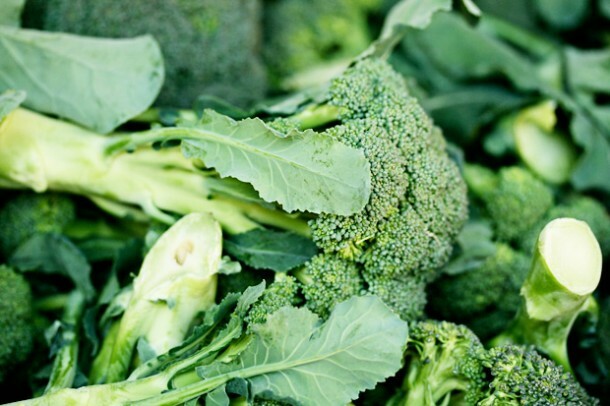 So start with what you already know is great — like superfood leafy greens and colorful vegetables including broccoli, red bell pepper, and fruits like kiwi or blueberries and then sprinkling your way to more energy and vitality. I’m always looking for ways to try new and exciting ingredients that also boost nutrition. You might have heard about some of these amazing superfoods, or nutrient-dense foods, but now let’s take a close look on how they can balance your nutrition and how to enjoy them in delicious ways. As with all foods that are new to your diet, if you’re on prescription medication please first check with your doctor for possible drug interactions. 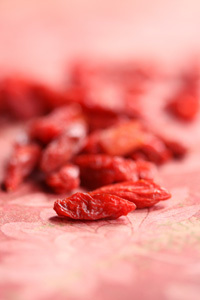 I think goji berries are the ultimate yogi food! Discovered in the Himalayas, where great yogic masters go to meditate, it’s no wonder they appeal to western yogis. When it comes to nutrition, gojis are matter over mind, since they are rich in many nutrients, in fact they outrank prunes and blueberries in antioxidant load and are an extremely rich source of beta-carotene. They boast 18 amino acids and 5 essential fatty acids just to name a few. While they can be costly – these little gems usually range from $6 to $12 dollars a bag which contains around 2 cups – you can always mix them with everyday superfoods. Looking to get more thiamin in your diet? Well, skip the boxed fortified cereals and sprinkle gojis on a hot breakfast made from whole grains like quinoa or oats. Goji berries deliver a hefty hit of thiamin, a member of the vitamin B complex family — needed for healthy skin, hair, eyes, and liver as well as metabolizing food. Love to hit the yoga mat, but don’t like to cook? 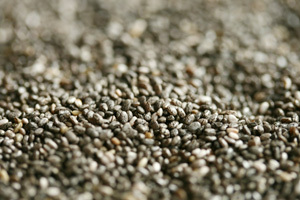 No worries, check out chia seeds, one of Nature’s easiest things to eat. Just hydrate with warm water for a few minutes to allow the soft sweet jelly outside to bloom, much like tapioca. Or eat them dried, they are sweet and crunchy, and can even be added to breadcrumb mix for tasty veggie cutlets. They have an impressive array of vital nutrients, in fact it’s amazing that high levels of protein, omega-3 and fiber can fit into these tiny grey and white-speckled seeds. The best way to buy chia seeds is to invest in a one-pound bag (that you can find discounted on the web for around $10). If you do decide to buy in bulk, store them in an air-tight container or zipper lock bag in the fridge to keep them fresh. Like many seeds and nuts, chia has natural oils that can turn rancid and ruin their delicate flavor. This tough little root grows in altitudes of roughly 8,000-14,500 feet in elevation. It does well only in cold climates in soil that is nutrient poor, but has an impressive list of nutrients despite its humble beginnings. Apart from a long list of amino acids, they also contain potassium, calcium, iron, and zinc. 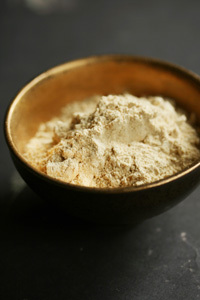 Maca root, known as a fertility food in folk medicine, maca also contains 18 of the 20 essential amino acids, a great meat-free way to boost your supply. Amino acids are crucial for synthesizing protein, but are also important for fighting disease, and moving oxygen through to the cell. Maca comes in dry powdered form — so it’s easy to add to cereals. I make a malted chocolate shake with maca since the flavor reminds me of malted milk balls. Just start with 1 cup of milk, rice milk, or almond milk and half a banana. Add one tablespoon of unsweetened cocoa, 1 tablespoon of maca, and 1 tablespoon sweetener of your choice. Blend and be in heaven! Yoga is about practicing what you preach. And yogis are all about clean eating, but are you ready to take your healthy eating to the next level? The answer is probiotic! Even if you’ve only taken antibiotics once in your life, the flora in your intestinal tract could be off track! When harmful bacteria or unfriendly yeast cultures take over, they can spew toxins that can send your gut into a rut. Including probiotic foods, on a regular basis, can reintroduce the “good guys” so that the good flora can once again crowd out the bad ones. If you do dairy, kefir is the perfect choice: It contains over 10 beneficial probiotic cultures and tastes just like yogurt. I use it in place of yogurt to make a cherry almond smoothie or enjoy it plain with fresh fruit in the morning. Other good sources are pickles or fermented fare like miso and kimchi. Both are high in sodium, so a little bit will do to flavor your entire meal. Probiotic supplements also work well… just remember to check the expiration date, since the capsules are filled with live cultures.